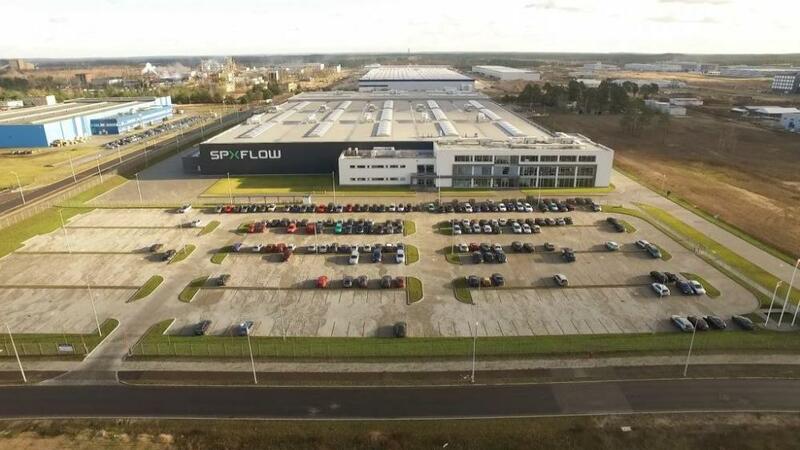 The new SPX FLOW facility in central Europe is fitted with advanced manufacturing equipment and a highly trained workforce to ensure components are made to high quality standards with streamlined inventory processes that keep them readily available at competitive prices. Hygienic valves manufactured in the new plant include automatic and manual versions for shut off, flow diversion, throttling control, aseptic, and mix-proof applications. All are designed to be lightweight, maintenance friendly, and cost-effective. Designs include the DA3+ double seat mix-proof with seat lifting, the MS4/MSP4 aseptic series, the SWcip4 and SD4 double seal configurations, the versatile SW4 single seat series, and advanced CU4 control units. A wide range of sanitary plate heat exchangers are also produced in the new plant. These include gasketed, semi-welded, and welded configurations in a variety of plate materials, corrugation patterns, plate heights, gasket types, and connection options. It also manufactures SPX FLOW’s homogenizer machinery with a selection of materials and homogenization valve types available to ensure an even dispersion characteristic across a wide range of applications and processing conditions. The European plant represents a multi-million dollar investment for SPX FLOW and is part of its commitment and strategy to ensure an outstanding customer experience. Every product that is produced at the new 28,000-sq-m facility undergoes multiple quality checks prior to shipment to ensure it completely meets specification and quality standards. The new center also offers dedicated spares and aftermarket support operations. Inventory profiles are managed to meet lead time requirements with warehouse teams focused on achieving daily shipping goals for rapid deliveries. Furthermore, the new plant is located close to major transportation hubs with easy connection to primary carriers to ensure accurate shipping and enable overnight deliveries.